Biomass boilers are heating systems that use the combustion of organic matter to provide heating and hot water. Biomass heating systems can be said to be carbon neutral because the carbon dioxide emitted when wood is burned is the same amount that was absorbed over the months and years that the plant was growing. Providing that new plants are grown in place of those cultivated for fuel the process is sustainable. There are some carbon emissions caused by the cultivation, manufacture and transportation of the fuel, but as long as the fuel is sourced locally, these are much lower than the emissions from fossil fuels. Biomass boilers can be anything from simple log burning stoves, wood chip boilers, and straw burners, to fully automated wood chip or processed wood pellet burners. There are almost as many alternative burning systems as there are applications. In general however, a biomass boiler system that best suits the environment in which it is being installed should be selected. Factors to consider include type of fuel, fuel source and space available for the plant and storage of the fuel. If you have existing woods on your land these could be utilised to provide the fuel, if not there is a growing network of suppliers throughout the UK who can supply wood chip or wood pellets directly to your door. As well as individual houses and commercial premises, biomass systems lend themselves very well to district heating schemes in both new and existing properties, providing heat and hot water to any number of properties. A major benefit of biomass boilers over heat pumps for some sites is that they are capable of generating higher temperatures, the same as existing fossil fuel boilers. Existing hot water cylinders can be retained in this case and there is no requirement to “oversize” radiators as there can sometimes be with ground source heat pumps. There are many different fuel sources classed as biomass. They range from logs to compressed wood pellets and even animal waste. These are covered in the biomass fuels section below. 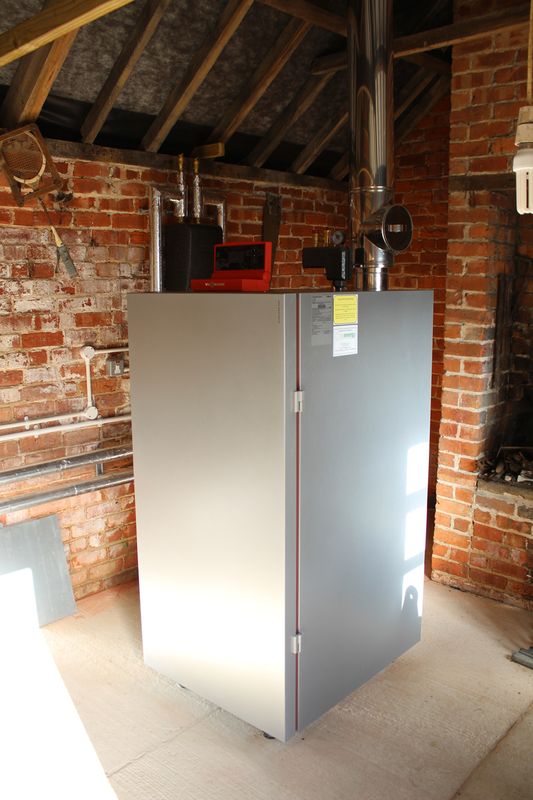 A biomass boiler simply replaces your existing fossil fuel boiler and is then connected into your existing heating system - whether it is radiators, underfloor or warm air heating. The fuel, in this case wood is loaded into the biomass boiler either manually or automatically. 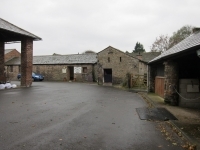 The biomass is then burnt very efficiently using careful balancing of air, flue extraction and temperature to extract as much calorific value from the fuel as reasonably practicable. 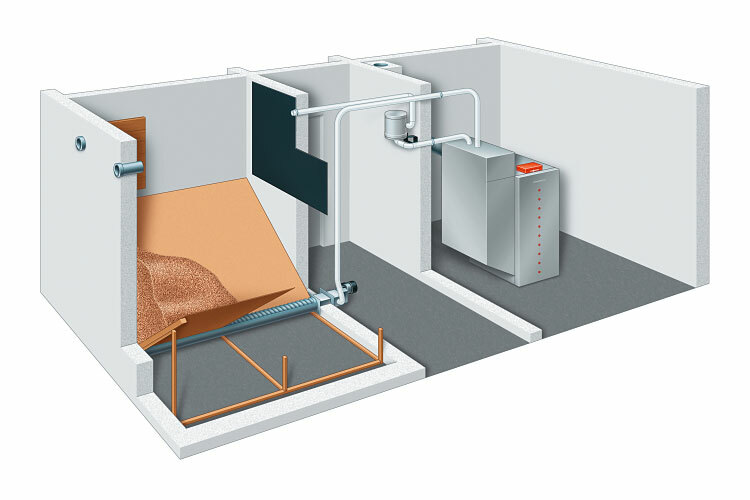 The biomass boiler should be connected to a large tank of water called a buffer tank. Whereas a gas boiler can switch the fuel supply on and off almost instantly as the heating load varies, biomass boilers are loaded with an amount of fuel which once loaded must be burnt. The reason for the buffer tank is to capture the energy from the burn as heat if the demand from the heating or hot water circuits is satisfied. This enables the burn to continue efficiently until burnout, making the most of the fuel loaded in the fuel chamber. When required, this stored heat from the buffer tank is then circulated around the heating system and is used to heat the hot water before the boiler needs to restart. The size of this buffer tank varies depending on the fuel. The largest buffer cylinders are required for logs and the smallest for pellets. This is due to the amount of fuel being burnt at any one time and the ability to control this. Due to the high temperature of the burn, there is very little residue or ash to deal with, approximately 1% of ash to the volume of fuel used. 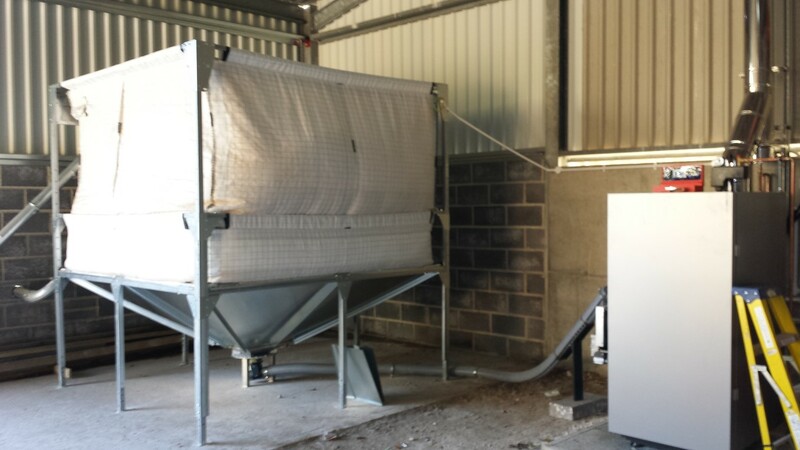 This makes biomass boilers relatively easy to keep clean and running smoothly. The ash created from logs, woodchips or pellets makes good fertiliser as it is high in nitrates. For sites with ample supply of logs, installing a log boiler is a reasonable option. Log boilers have a requirement to be loaded by hand which should be considered from the outset. Most log boilers take logs from 0.5m – 1m in length depending on the output of the boiler. If you need to buy in logs they can be a cheaper alternative to pellets and wood chip, but costs depend on the wood suppliers in your local area, as they cost a lot to transport. If you have room to store more than a year’s worth of logs you can save money by buying unseasoned logs and letting them season for a year. Woodchip boilers are designed to burn chippings created by woodland management. These systems need a lot of storage space per kWh of heat generated and maintaining a supply of good quality woodchip is something that needs consideration in advance of any decision to proceed with installation. Woodchip boilers are normally fed by a fully automated delivery system from fuel store via a mechanical auger. If you choose to burn bought-in wood chips, care must be taken to select a supplier who can give you an assurance of quality, as required by the joint HETAS and Woodsure assurance scheme. From 2015 all fuel bought must come from a supplier who is registered on the Biomass Suppliers' List (BSL). Their interactive map enables you to search for suppliers in your area by postcode area and filter by both fuel type and assurance. If you are considering creating your own woodchip to burn, quality of the fuel and storage becomes an important factor. However choosing this option can deliver the greatest cost savings against fossil fuels. There are a range of considerations relating to producing wood fuel of the required quality. Firstly, as with logs for a log boiler the wood must be fully seasoned to a maximum moisture content of 30% prior to chipping. To season well, it is recommended that the logs are stored on raised pallets with the ends facing the prevailing wind and left uncovered to air dry. Wood has a tendency not to re-absorb water once seasoning starts, so leaving it uncovered improves the process. Once seasoned to below 30% moisture content, a chipper can either be hired or bought or in some instances woodland owners can sell back their own wood to fuel suppliers in return for discounted fuel. Enough wood must be seasoned and then stored to cover the full load of the biomass boiler over a yearly cycle. 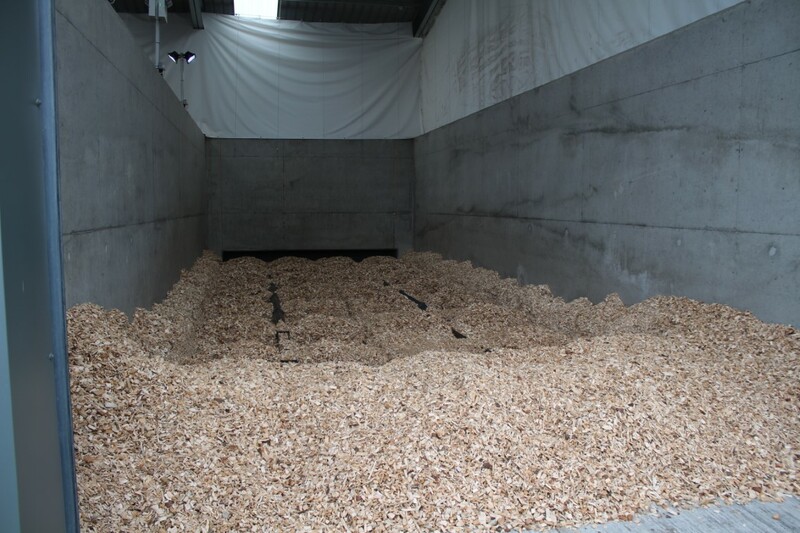 One tonne of woodchip equates to approximately 400 litres of heating oil, not factoring into account the efficiencies of the boilers. One tonne of woodchip also equates to approximately three m3 in volume, almost double that of pellets so storage space is important. If there is no natural woodland resource on site, all is not lost as biomass pellets can be bought and delivered to your site by a growing number of biomass suppliers. The pellets can be made from compressed sawdust that is generated as a waste product from timber processing. Good quality pellets have the major advantage over other biomass of having the most calorific value for their volume. They can also be fed into the boiler by an automated system so there isn’t any handling of the fuel. In the majority of cases, the pellets are bought in bulk and delivered by a tanker. They are then literally blown into the fuel store. 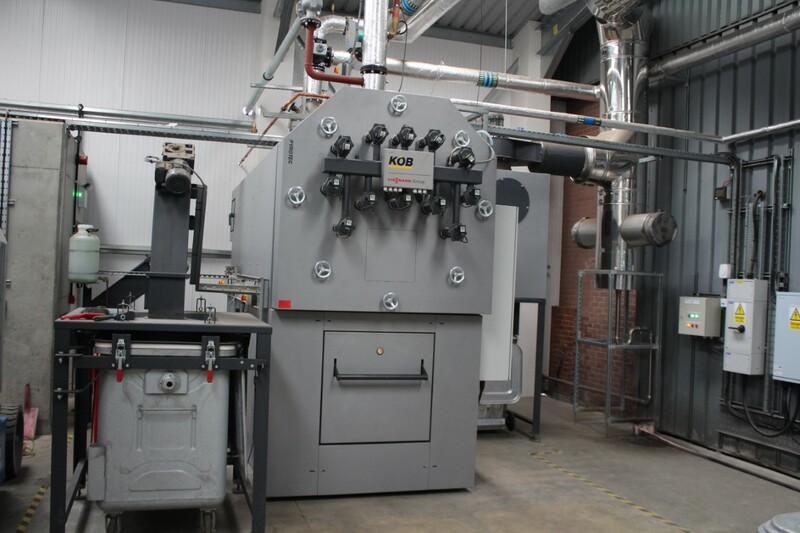 A biomass boiler requires a fuel source – there are various options – pellets, logs, wood chip. There is the option to either source this from the surrounding site, if suitable, or to buy this in from a wood fuel supplier. The market for wood fuels is currently relatively immature which, combined with its unsuitability for long distance transport, supports considerable variation in prices from place to place. All prices are prone to some level of variation with geographical region, tariff choice, order quantities, overall contract size and duration, time of year, delivery distance and time all to be taken into account. Delivery method of bought wood also has a pronounced impact on cost and this must be taken into consideration when planning a biomass boiler solution. It will be far easier, quicker and cheaper to tip a trailer into a chip store than to have to use a chip blower for example. Additional expenditure on a chip store can have profound financial benefits over the lifetime of the installation. The most cost effective indoor storage solution is a bagged pellet store. The frame suspends a large bag which holds the pellets. There are normally two connecting trunks that allow for deliveries of pellets to be blown into the store. The bagged pellet store needs to be housed in a dry place to avoid spoiling the fuel. For systems up to 50kW it can be stored in the same room as the boiler itself. For larger system you will need to have the store installed in a different place to satisfy fire regulations. For systems that need a larger storage of pellets, it is normal to convert or build a room to act as a pellet store. Pellets are delivered via tanker and are blown into the store through trunks similar to the bagged pellet store above. The corners of the floor are angled to channel the pellets to an auger in the middle of the floor. If internal space is at a premium at the site, it is possible to install a manually stocked external hopper. This plastic weatherproof hopper allows manual filling through a hole at the top where the lid comes off. Pellets are purchased in bags which can increase the cost and they need handling rather than blowing. Delivery method of bought wood has a pronounced impact on cost and this must be taken into consideration when planning a biomass solution. It will be far easier, quicker and cheaper to tip a trailer into a chip store than to have to use a chip blower for example. Additional expenditure on a chip store can have profound financial benefits over the lifetime of the installation. It is not possible to predict the price of any energy source into the future. These prices are intended for guidance only and represent the typical cost per unit of fuel energy for comparison. This is not the same as cost per unit of delivered heat which will depend on the efficiency of the boiler or stove, and may also include other charges such as service and maintenance for heat supply contracts. They also do not represent either the very lowest price you might achieve by extensive shopping around, or the highest prices on offer. All prices are prone to some level of variation with geographical region, tariff choice, order quantities, overall contract size and duration, time of year, delivery distance and time all to be taken into account. DECC produced an indicative forecast in 2010 based on four scenarios of possible woodchip and wood pellet prices from UK produced and imported sources looking out to 2020. This report, “Biomass prices in the heat and electricity sectors in the UK”, indicated future wood fuel prices at a similar level to today or modest increases, compared with our experience of high volatility with fossil fuel prices. Biomass boilers should be kept clean and swept regularly to remove ash. Ash quantities are generally very low (less than one per cent of fuel volume), but you will still need to empty the ash bin of a wood burning stove or boiler. Some appliances, particularly boilers, have self-cleaning systems which will collect ash from the combustion grate and the heat exchanger tubes. If there is no automatic ash cleaning mechanism in place the boiler will need to be shut down periodically so that this can be done by hand. If the ash is not cleaned out regularly, it will build up and adversely affect combustion conditions, which can lead to boiler failure and shut down. Some boilers have a mechanism for compressing the ash which reduces the number of times the ash bin needs to be emptied. With automatic ash removal and cleaning of the heat exchanger the only other maintenance requirement will be occasional ash removal and regular maintenance check. The chimney and flue pipe must be swept regularly to remove all soot deposits and prevent blockage. HETAS recommend that this “should be done at least twice a year, preferably before the heating season to check that the flue has not been blocked by bird's nests for example and also at the end of the heating season to prevent soot deposits from resting in the chimney during the dormant period”. The key consideration for a biomass boiler system is the availability of fuel. 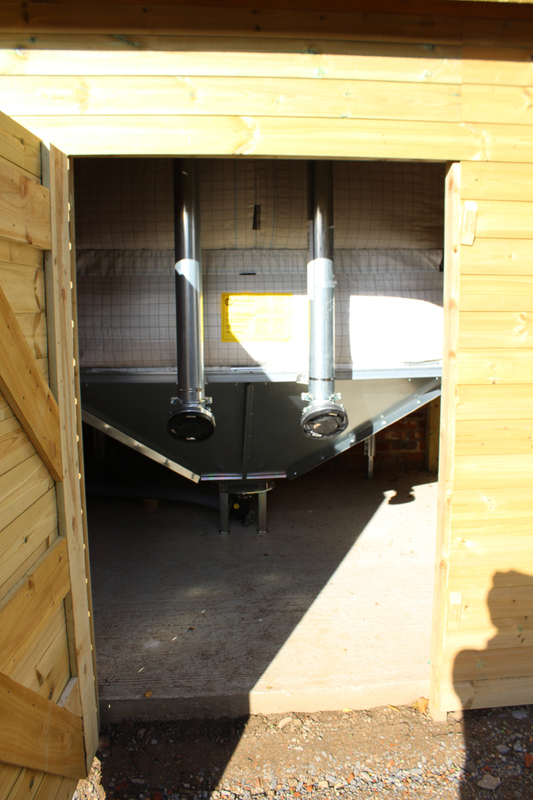 If there is a ready fuel source on site, a biomass boiler becomes a very feasible option. If there is no fuel source, it will all depend on the availability of a supplier in your area. Use the National Biofuel Supply Database to find suppliers in your area. If buying it in, deliveries of biomass will be required so there needs to be straight forward access to the fuel store. Forever Fuels have produced this handy guide to fuel deliveries. Can a tanker get up your driveway? Is the fuel store going to be within reach of the pipes when blowing the fuel? All biomass boilers require a flue to be run out of the boiler location to the outside air. Usually this comes out of the roof unlike gas boilers that can flue out of a wall. For most houses installing a flue is seen as permitted development by the planers, but for a listed building your will need to secure planning permission before you can proceed.